No one could have forgotten the college lecturer act of Vinay Forrt from Premam. It was really funny that the act has gone onto become quite a household item in troll and meme pages. Now, the actor is preparing to yet another lecturer role in one of the upcoming movies. Under the direction of debutant Ashraf Hamsa, the actor will essay the central role in the movie Thamaasha. Vinay Forrt has shared the image of the character from the movie via social media pages. Unlike his ‘Java – Mava’ act, this time, his looks gave a different shade and has impressed movie goers in the town. Movie will also star Divya Prabha, Grace Antony, Chinnu Sarojini and Arya Saalim in other important roles. 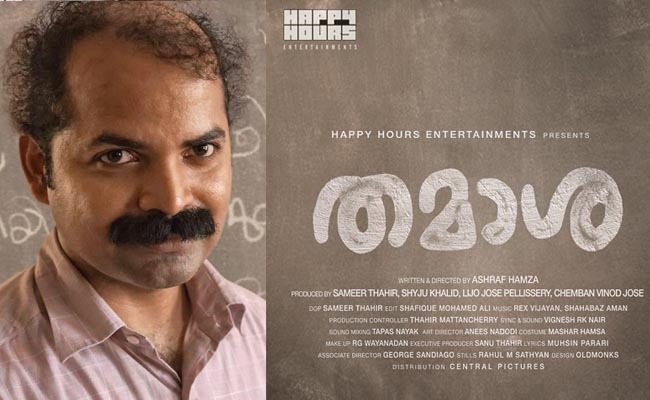 The movie would be produced by Sameer Thahir, Shyju Khalid, Lijo Jose Pellissery and Chemban Vinod under the banner of ‘Happy Hours’. Thamaasha is set to hit big screens on this Eid.